Read the Music, Art & Architecture Library’s tribute to Melva Dwyer here. Annual Music Score, Book, & CD Sale! 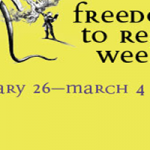 What will you enjoy reading for Freedom to Read Week? Learn about the event and where local events are taking place. This resource is on a trial through the UBC library. Test it out and let the library know what you think!